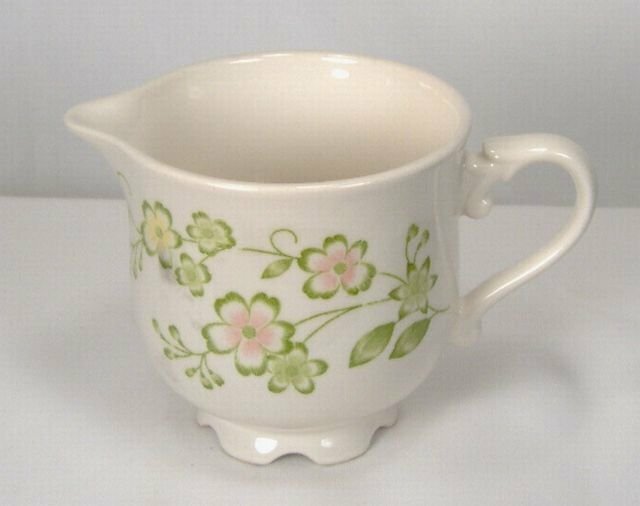 This NIKKO Blossom Time creamer is in very good condition. It has no chips or cracks and very few utensil marks. The pattern is crisp and the colors are sharp. It's about 3 inches high and 3.75 inches in diameter to the tip of the lip.